Looking for a business opportunity in your hometown? A Community Web Portal is a turnkey, sustainable, revenue generating solution that promotes your community online. 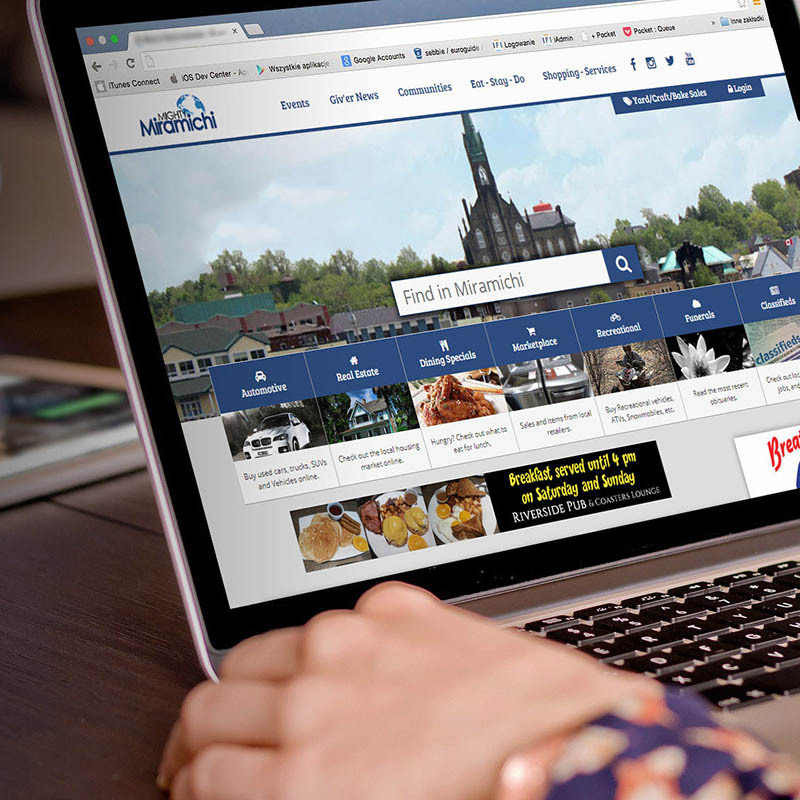 It provides one central location for visitors, and residents, to find what there is to see and do in your city or town, pulled together into an attractive, mobile-friendly website. Mobile Friendly – it works and looks great on all device’s, laptops, tablets and phones. The portal offers online marketing solutions to resell to local businesses and organizations to promote their products and services. Also, free community tools such as an events calendar, engage the community and draw more traffic to the portal. 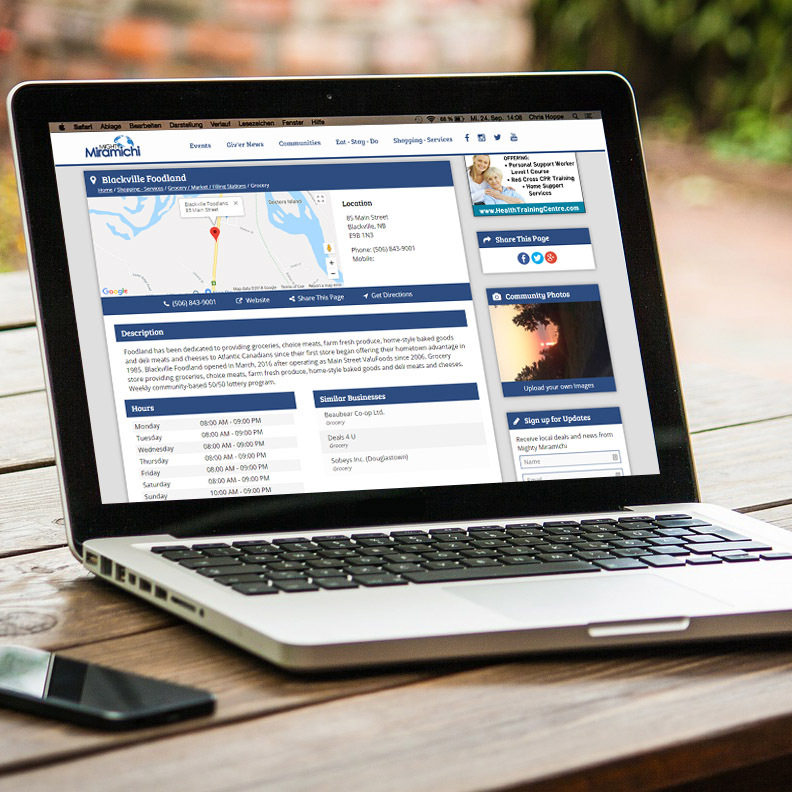 Business Directory - Make it easy for local businesses, groups and organizations to promote themselves online through a complimentary Profile Listing (description, contact info, map) on the portal. For the smaller operator that doesn’t have a website, it gives them an online presence, and for those with existing sites it provides one more way for them to be found online. What are my customers buying? • Online advertising opportunities for businesses such as banner ads and listings. • Business Websites that are easy to create, manage, and resell. • Marketplace Apps custom applications for retail, real estate agents, restaurants, and vehicle dealerships to promote their products and services. Websites are available for the business that wants more than a profile listing and doesn’t already have a website. They are scalable to fit their needs, easy to update, mobile friendly and easily integrate social media feeds and marketplace apps. 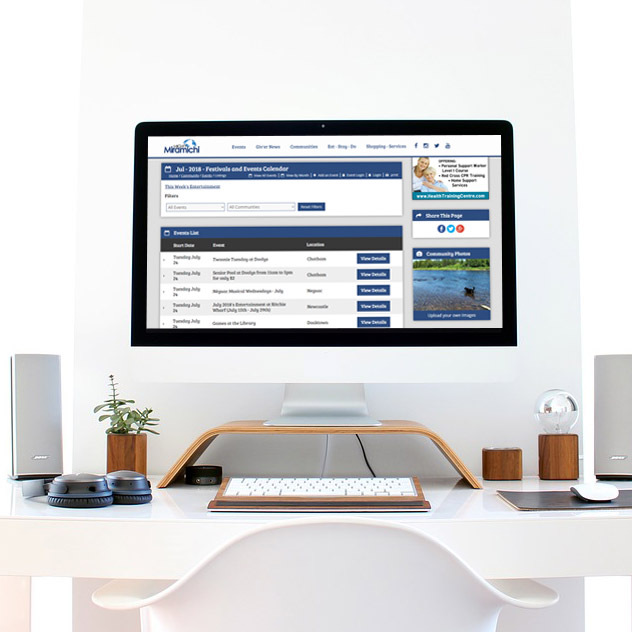 Search Engine Friendly - The portal has an internal search making all the listings easy to find. The Profile Listings are also search engine friendly meaning they are easily found by people doing Google searches. Custom-made Applications add depth to the online community experience and provide businesses with affordable online advertising and marketing solutions. The Apps are also a great way to continuously generate new content on the portal, that keeps people coming back time and again. For example, auto dealerships list their new and used vehicles on the portal, which can also displayed on their website simultaneously. People who are in the market for buying a vehicle find it convenient to check the Auto App on the portal where they'll find the most recent listing from all the dealerships in the community. Repeat traffic generators such as an events calendar, classifieds, community photos, daily restaurant specials, marketplace deals etc., ensure a recurring stream of web visitors to the portal, who will also visit the websites of the businesses within the portal. The more traffic there is on the portal, the more businesses will want to advertise. The community portal encourages resident participation through user-generated content – so it is easy for groups to add events and yard sales, and for both locals and visitors to submit photos. 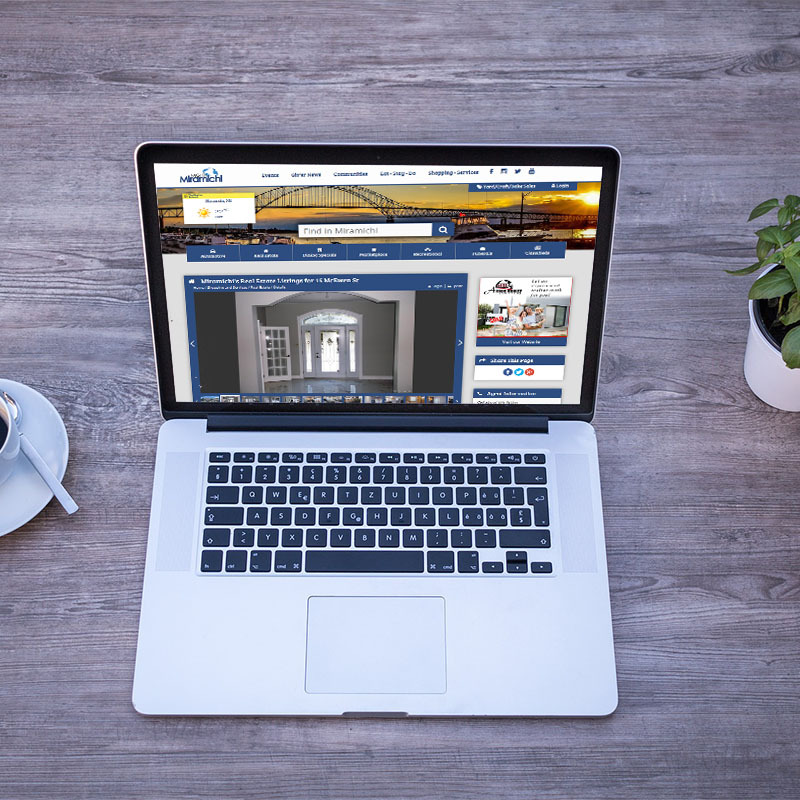 It won’t be long before your new portal is the online hub for all things happening in your area! The more content is added - the more the portal will show up in search results (i.e. Google, Bing) – the more people will visit the portal – the more the businesses listed there will benefit and want to advertise. Share content with community partners. Our plug-ins can be enabled on partner sites such as business associations, event planners, attractions, organizations and smaller sub-communities, villages, etc. so events and listings can be shared and populated throughout your community/region. 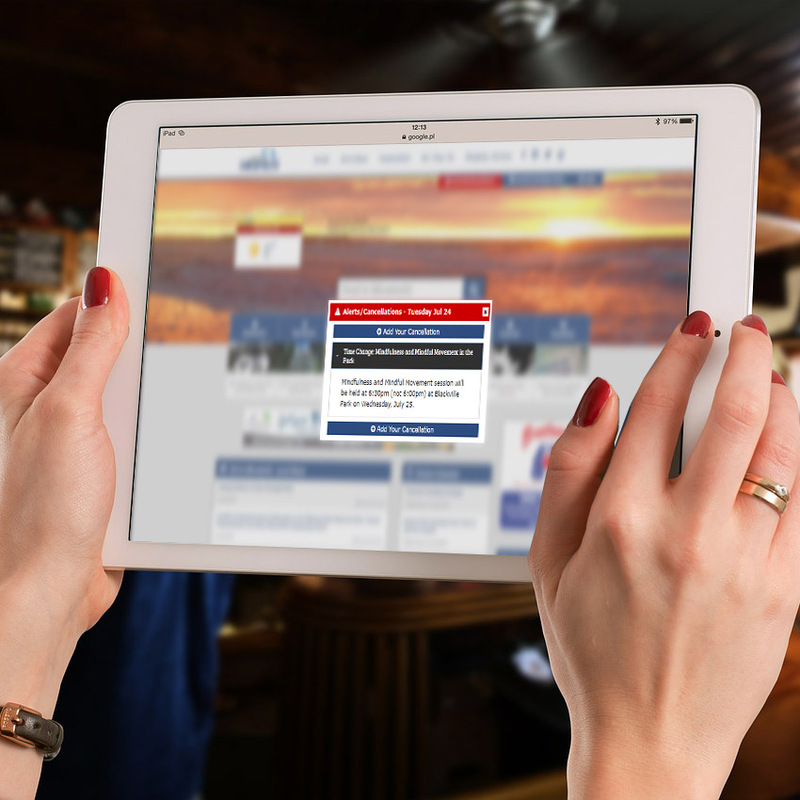 Businesses and organizations can quickly add an alert to the website in case of emergencies, for cancellations due to snowstorms, road closures, or any other urgent public announcement that needs to be posted quickly. Anyone coming onto the portal will see the alert across the screen the first time they open it, and all alerts are accessible through a designated tab. Database Management Made Easy What truly makes MCG’s Community Web Portal unique is the easy to administer, database driven back-end. Track sales calls and appointments, add affiliates, manage customer information and projects, generate reports, and more! 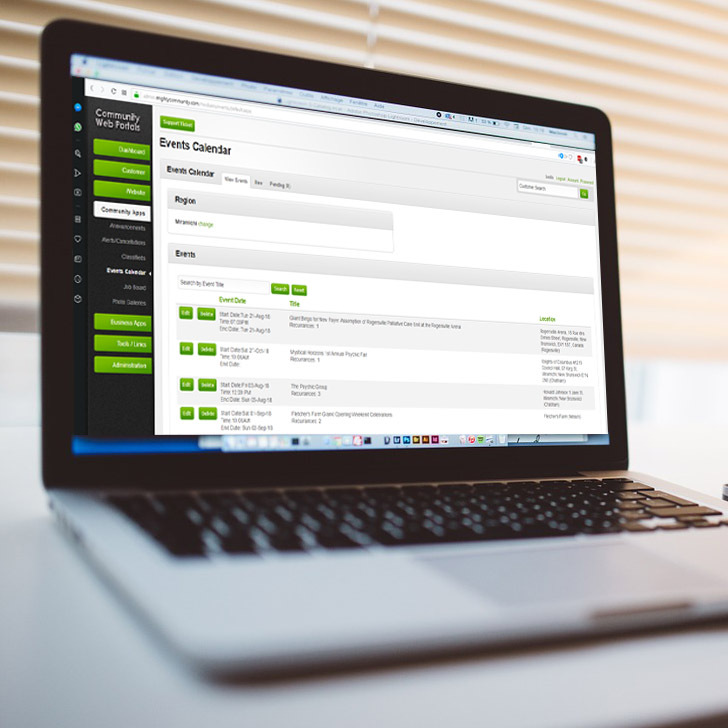 Stay organized with our project management application. Approve events, yard sales, classifieds and photos as they are added by the public, and manage cancellations and alerts. Manage photo banners on the portal to change with the seasons. Community Web Portals (CWP) is a product of MCG Media. To learn more about MCG Media and its products, visit MCGMedia.net.